The Chinese even have a word for it—guanxi—a personal trust on which relationships are built, often based on a sense of moral obligation. Building business relationships in Southeast Asia has been a journey for Ben. It began when he opted to study his MBA at the Asia School of Business (ASB) in Kuala Lumpur. Importantly, the MBA program at Asia School of Business laid the foundation for him to begin building the business relationships that ultimately led to his career with Esquel. This relationship-building had been helped by the diversity of his MBA class. As one of 13 represented nationalities, he had quickly learned to adapt his communication skills to fit to an international context. 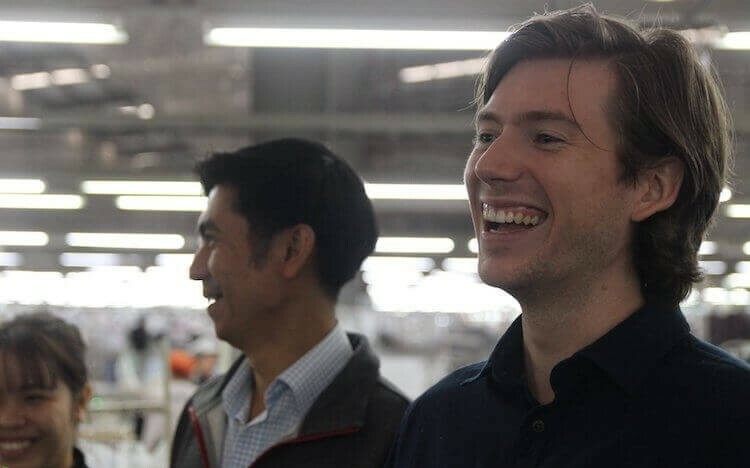 Despite the language and cultural barriers, the lessons learned from his MBA and the wide diversity at Asia School of Business has enabled Ben to approach these problems with a cool head. More importantly, through the relationships he has spent time building, Ben has been able to thrive in this new environment, which he now sees himself personally and professionally committed.